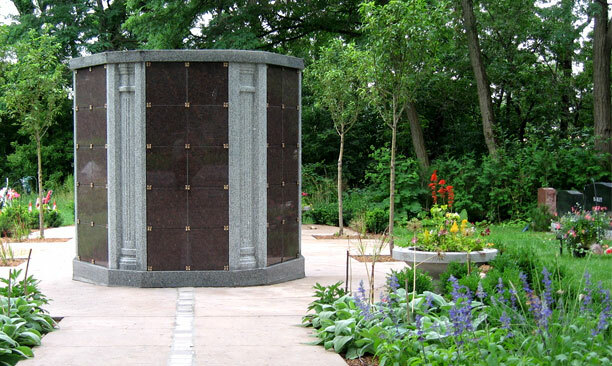 Streetsville Cemetery - PMA Landscape Architects Ltd. The Streetsville Public Cemetery was recently re-designed and constructed by PMA Landscape Architects Ltd. in collaboration with the City of Mississauga. The cemetery overlooks the east bank of the Credit River and as it stood, the layout of the cemetery exemplified nineteenth century cemetery design. 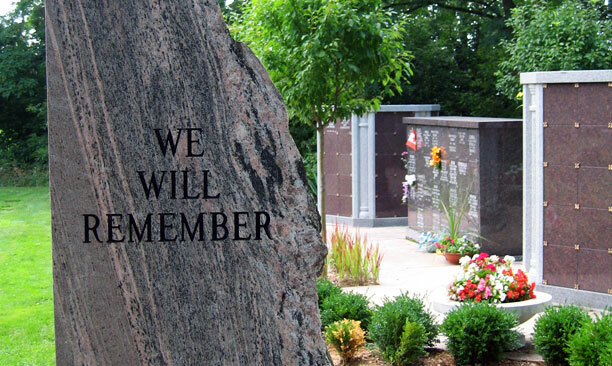 There are over 2,500 interments that include wellknown politicians as well as war and public service veterans, this plus the traditional cemetery layout, make it a historically significant site for the City of Mississauga. The design team determined that the cemetery would function as an outdoor sanctuary by providing intimate spaces that invite and foster the contemplative nature of grieving as well as to providing additional interment alternatives. It was also anticipated that the cemetery would be used by the wider public as a restorative environment. 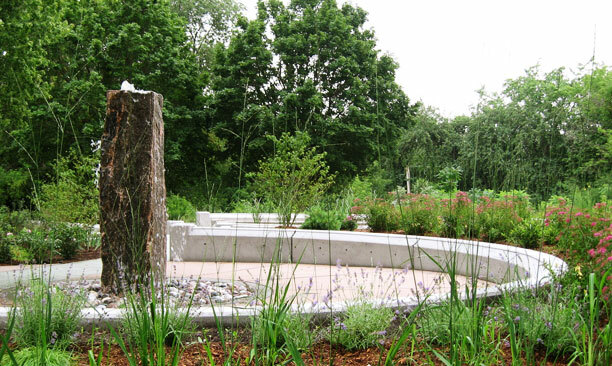 The newly constructed Memorial Garden is the element that modernizes the cemetery and characterizes it as a garden park. It provides three intimate elliptical nodes for memorializing loved ones by means of plaques attached to a sinuous concrete seat wall. 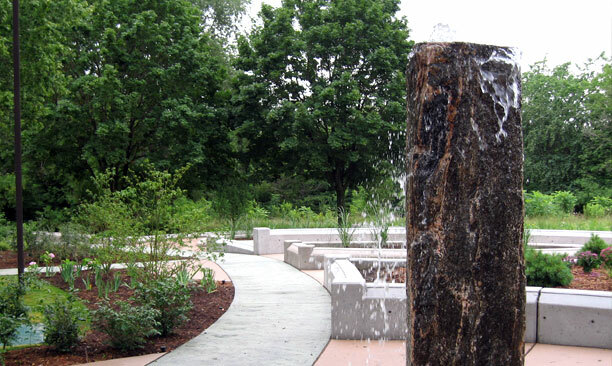 The sound of the central granite water feature further enhances the atmosphere. The node gardens were arranged to take advantage of the views of the Credit River and the adjacent conservation lands.